Dr. John Lacy Bean was born Nov. 23, 1874, the fifth child (of nine children) of Richard Henderson Bean and Mary Lou Lacy Bean. He was born and raised on a farm just west of the Cane Hill Cemetery in Cane Hill, Arkansas. His grandfather, John Mc Clellan Lacy was a doctor who served in the Confederate Army. He left Cane Hill, Arkansas after the war, in 1879, to move by wagon to California, where he became a prominent citizen and mayor of Santa Ana. After finishing school in Cane Hill, John Lacy Bean attended the University of Arkansas and then went to St. Louis Missouri to Washington University of Medicine. In 1897, he married Martha Ann Mc Collach ( Annie), his first cousin, who accompanied him through medical school. 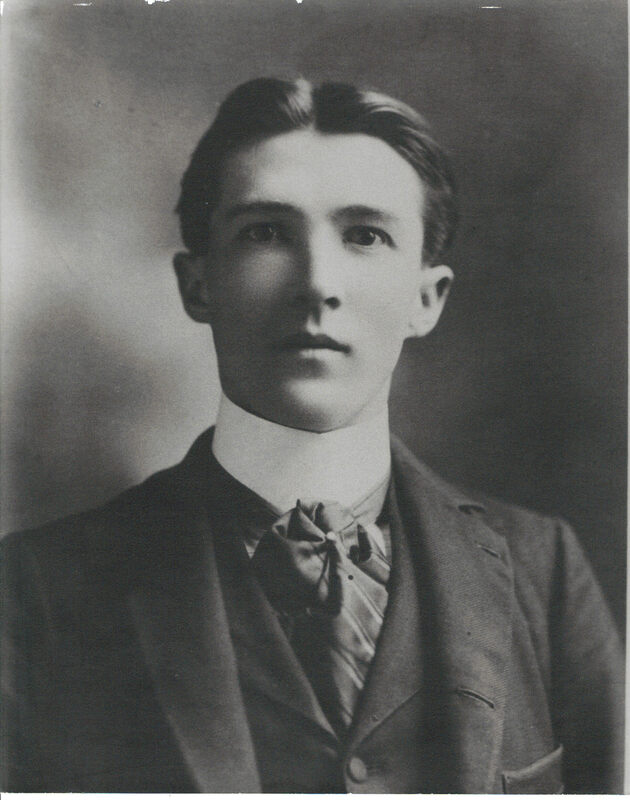 He graduated in 1899. Though it was not common to stay for an internship, Dr. Bean continued as an intern at Barnes hospital. He returned to Cane Hill and practiced medicine there for 22 years. Annie died in November, 26, 1904 of typhoid fever. Later he married Mary Ozella Jackson. He moved to Lincoln in 1921, where he built and operated a five-bed hospital attached to the house he bought from Dr. Karl A. M. Bergensthal (now the Arkansas Country Doctor Museum). In 1941 Ozella died. Eventually he sold the hospital and house to Dr. Herbert Boyer and moved to Westville, Oklahoma. He practiced there until illness forced his retirement. He died September 3, 1953 at the age of 79. While in Cane Hill he bought an interest in a drug store and maintained his office adjacent to the drugstore–he covered the countryside by horse and buggy to care for the sick. Dr. bean was popular with the young people and often acted as a chaperone. He coached the boy’s baseball team and bought much of their equipment. One day a father brought his sick 12-14 year old boy, Joseph John Stevens to see Dr. Bean. He found that he had a ruptured appendix and sent him to Fayetteville for surgery. After several days in the hospital, Dr. Bean took the boy into his home to recover. He stayed with Dr. Bean throughout his return to health and then continued to live with him. Later Jo John became his driver for house calls even staying with him when he moved to Lincoln, Arkansas in 1921. For nearly one year, about 1941 he had another driver and assistant, 16-17 years old Virginia May Minear Hayes (Gennie). She said Dr. Bean came out of retirement because during WWI there were no doctors in Lincoln. She said that everyone loved Dr. Bean. He was kind, sweet, patient, understood people, treated rich or poor, was paid most often with food from the farms. His hands shook, so she did many things as he stood by instructing her. He was a good teacher. She sutured wounds, gave injections, aspirated edematous areas, gave drip chloroform, helped catch babies at delivery times. If he had someone needing surgery, he called one of the Prairie Grove doctors, probably Dr. Mock. Gennie and another woman, Susie Morrow, worked 12 hour days. Mary, a R.N. worked 12 hour nights. Dr Bean later married Mary and moved to Westville, OK. He had a dog named Ruffles who went everywhere with him, even on house calls. Dr. Bean was married three times. His first wife was Martha Ann (Annie) Mc Collach. She was born Nov. 30. 1877 in Paul’s Valley,Indian Territory. Annie was the daughter of Clem and Cammie Lacy Mc Collach.. Dr. Bean and Annie were married at Cane Hill Ark in 1897. Annie died Nov 26, 1904 of typhoid fever. His second wife was Mary Ozella Jackson of Cane Hill, Arkansas. She was born Aug. 18, 1874 at Mc Kensey Texas, Ozella died in Lincoln, Arkansas in 1941. His third wife was Mary Williams a nurse from Westville, OK.
Their son, Dr. John Clellan Lacy went to Santa Anna ,California and became a well known, civic leader.